I am always looking for ways to increase my vegetable intake. I actually really like most vegetables, but for some reason, they are still something I have to really be intentional about putting into my diet. They just aren't something I gravitate towards most of the time. I could honestly go a few days without a single veggie if I wasn't careful, which is why I have to plan for them and make sure I'm getting them in. I know this is something a lot of people struggle with, so I thought I'd share some things that work for me to up my veggie intake! I don't buy a ton of prepackaged veggies, but there are some things that are just SO convenient. For example, I absolutely loathe cutting up sweet potatoes, so when I buy them, I never use them, except maybe cooked in the microwave. If I want to add them to eggs, or dice up for a soup or something, I just never get around to using them and they sit on my counter until I eventually toss them. So, paying a little bit more to have diced and ready sweet potatoes is totally worth it for me to get them in! Another good example for me is riced cauliflower. I know it's not that hard to make, but I never do it. Honestly you can buy just about every veggie pre packaged these days, so if there are things you are having a hard time getting into your body because of the prep work, consider choosing one or two to buy already ready for ya! two. Choose one veggie and master it. A lot of the time, I think that people don't know how to prepare many different veggies. This leads to burning out on eating raw carrot sticks all the time. To simplify things, choose one vegetable and master the heck out of that thing! Keep fixing that veggie until you have absolutely mastered that thing and it is so delicious even your pickiest kid eater asks for it daily. Then, master another one. And another. three. Prep veggies at one time. We all know that prepping food ahead of time makes life easier. Finding the time and energy to do actually do it isn't always easy, though. Take 10 minutes after you've gone to the store to cut up and store all of your veggies for the week. I usually leave all my greens as is until I am ready to use them, but I love having cucumbers, bell peppers, carrots, cauliflower, broccoli, etc. washed, cut and ready to go. If you've actually taken the time to do this, there is a lot higher chance you'll actually eat what you've purchased. 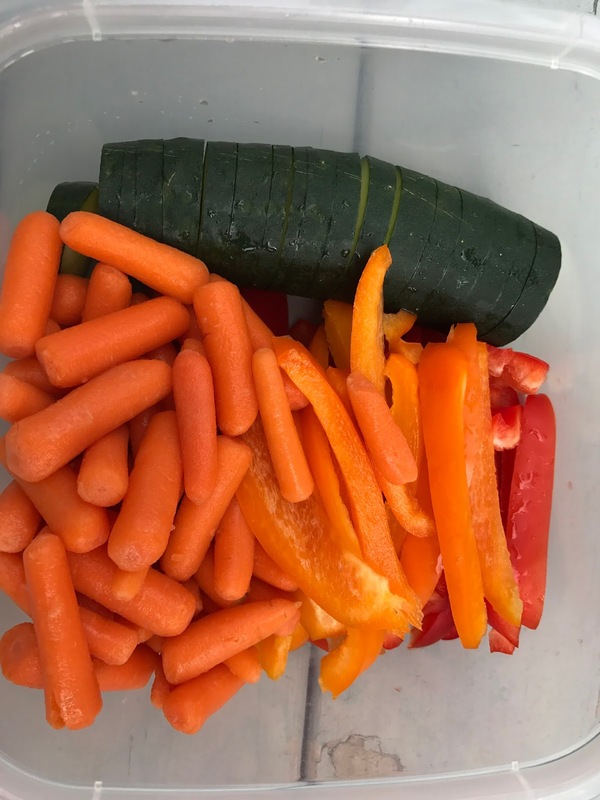 When I am rushing to get lunch ready for 4 kids, I am not likely to put red peppers on their plates if I have to do more than just open the container and get them out. If you aren't making green smoothies on the regular, why not?! 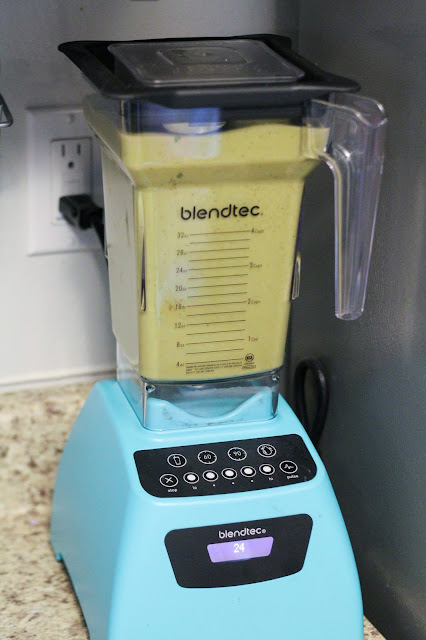 My kids and I prefer using spinach to any other green (you honestly cannot taste the spinach, promise) and I add several heaping handfuls each time I make smoothies, which is several times a week. I can 100% guarantee you that 0% of my kids would eat spinach in any other form. They get 1-2 servings of veggies (and leafy greens at that!) in one sitting to start their day. five. Prepare one veggie several ways. six. Make a veggie plate. Remember all of those veggies that you prepped ahead of time? 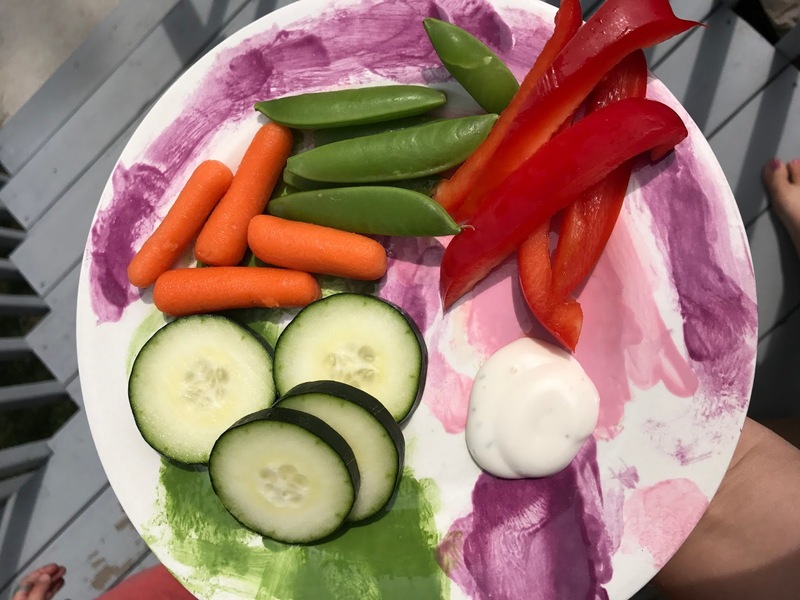 If you're still having trouble getting your veggies in, make yourself a little snack plate of veggies. Pile a few of each kind of veg that you prepped and munch on them during lunch, or for a snack. Sometimes, in order to really get enough vegetables in our bodies, we just need to make it happen. 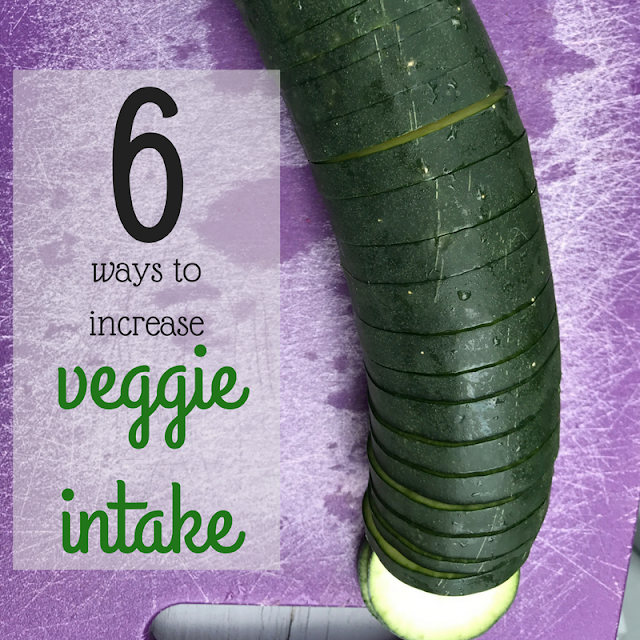 What other tips do you have for increasing vegetable consumption?! Do you have any awesome recipes for veggies? If so, please share!